Nathaly Vergel epitomizes integrity, energy, hard work and creative service in every detail of your real estate transaction, in Maryland and Pennsylvania. 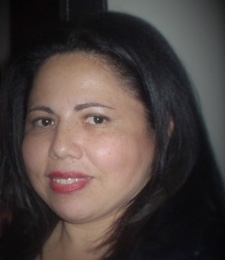 Nathaly, has been in real estate business for over 13 years. Nathaly’s background has benefitted many of her clients whether buying or selling the property. She is bilingual, speaks English and Spanish. Graduated Environmental designing, Bachelor’s degree in Architect, Public work inspections and Specialist in Construction of Public Works Buildings, from Zulia University, Venezuela. Computer Aided Designing from Montgomery College, Tacoma Park, Maryland. Soil and Concrete Technician from Wacel (Washington Area council of Engineering Laboratories) Herndon, Virginia. Nathaly, believes in developing trusting relationships by listening and comprehending each client’s unique circumstances. She provides solutions to client’s obstacles through skill of problem solving and comprehension of complex issues. Her attention to detail and organizational skills enable her to act as a strong advocate for her clients to accomplish their goal.